Dalili - Vintage - Free Shipping*. 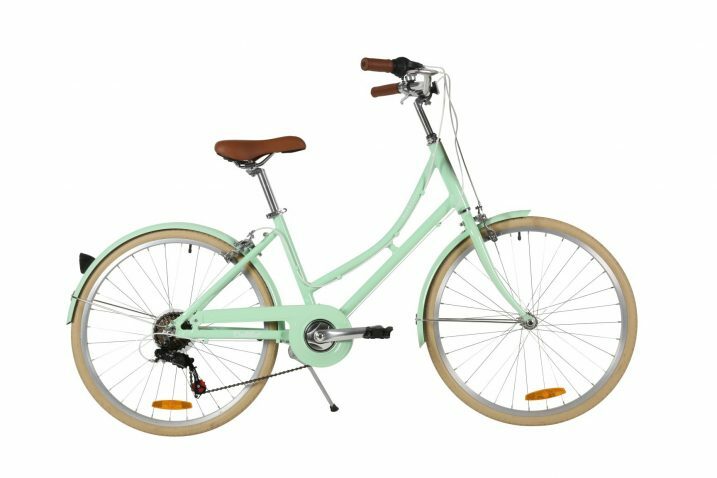 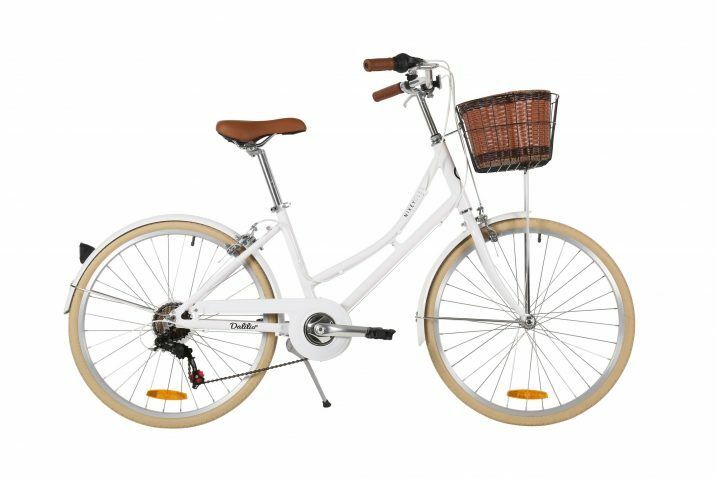 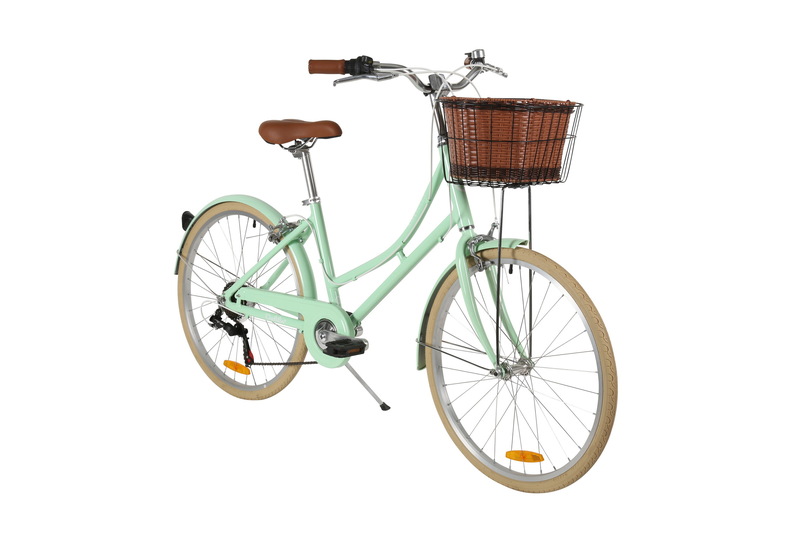 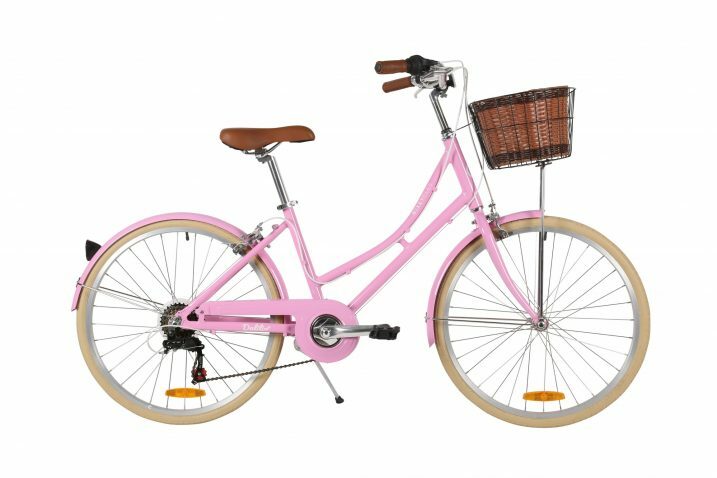 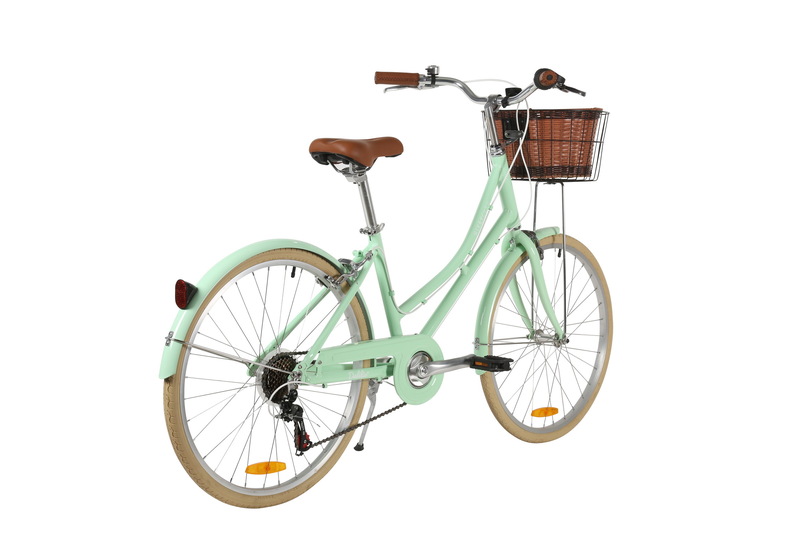 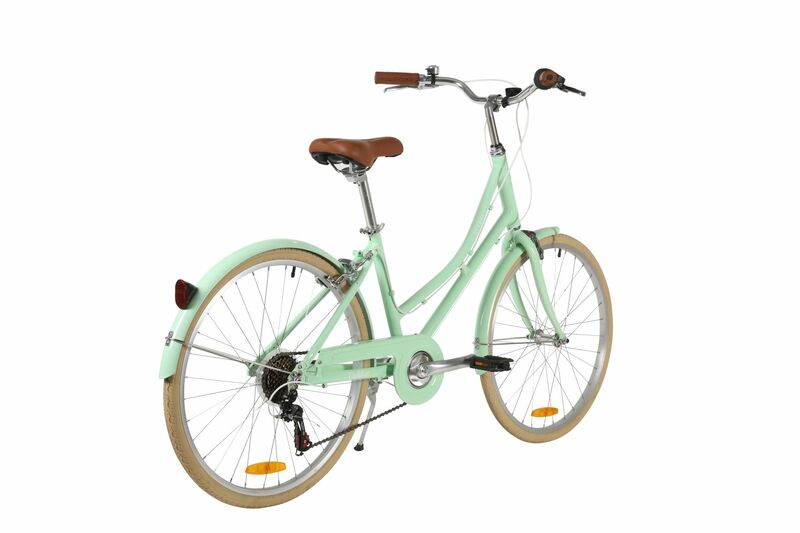 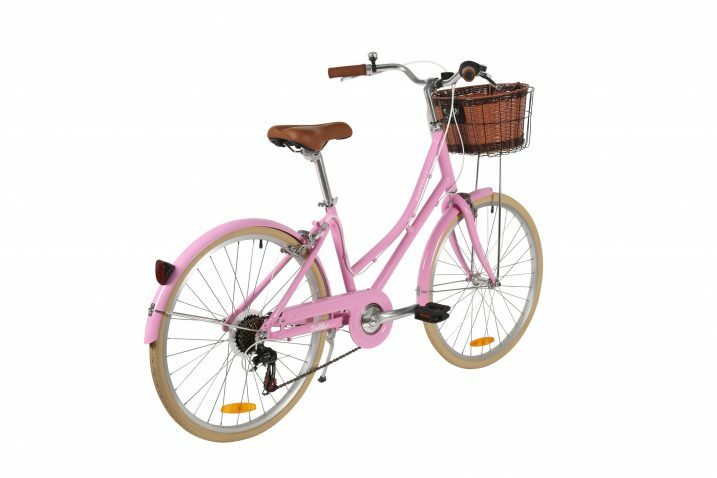 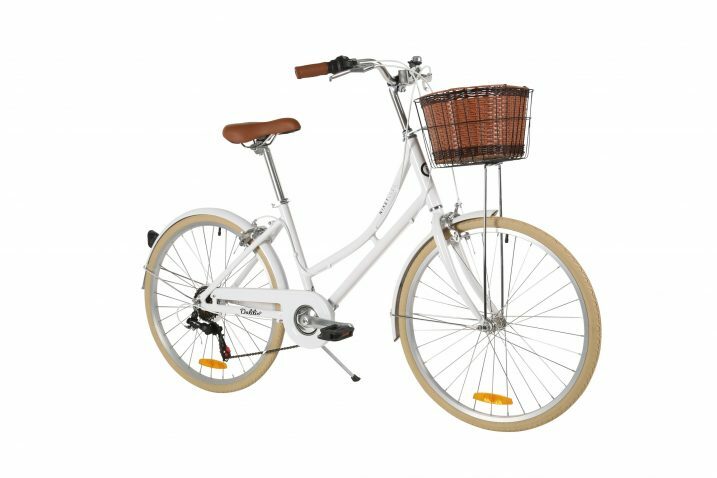 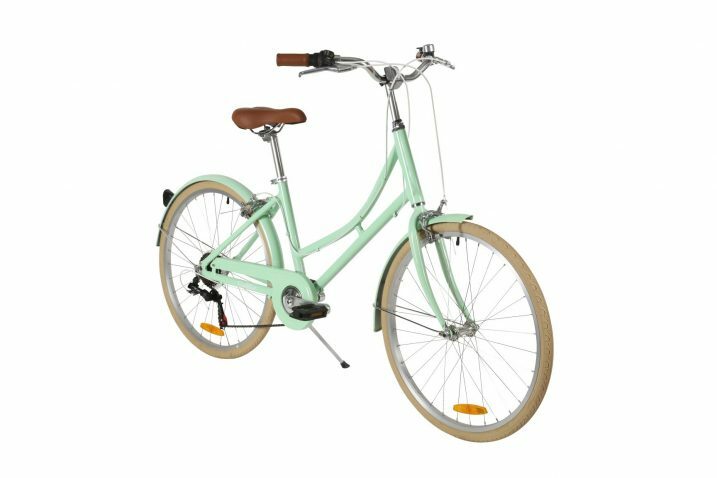 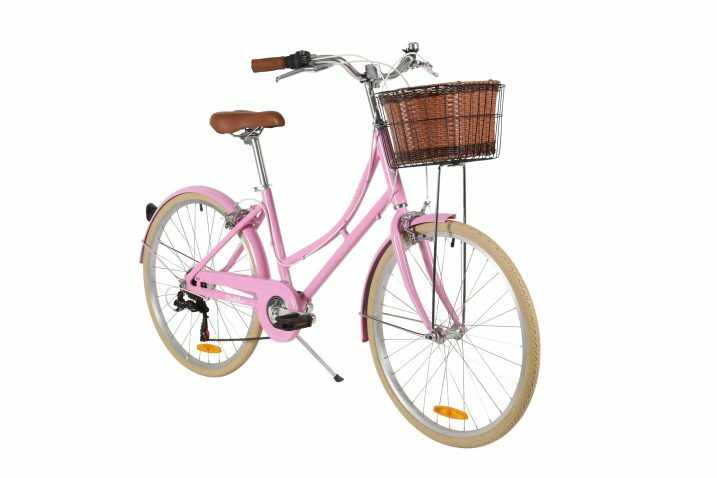 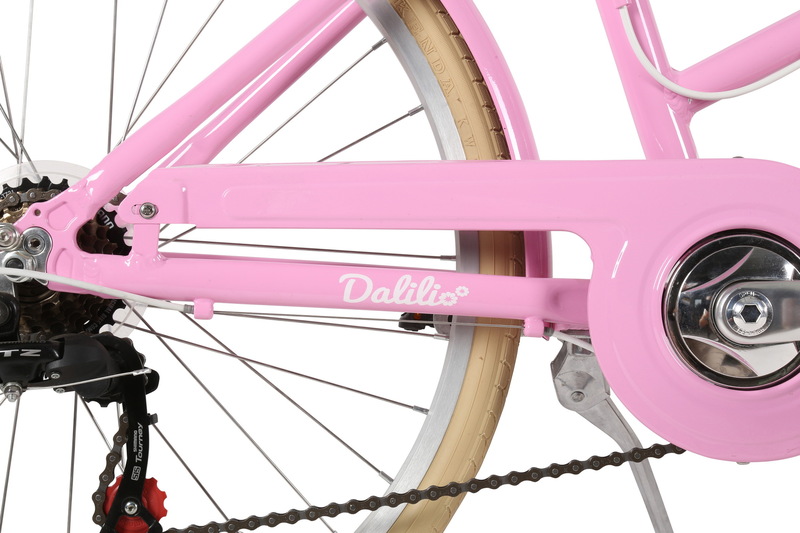 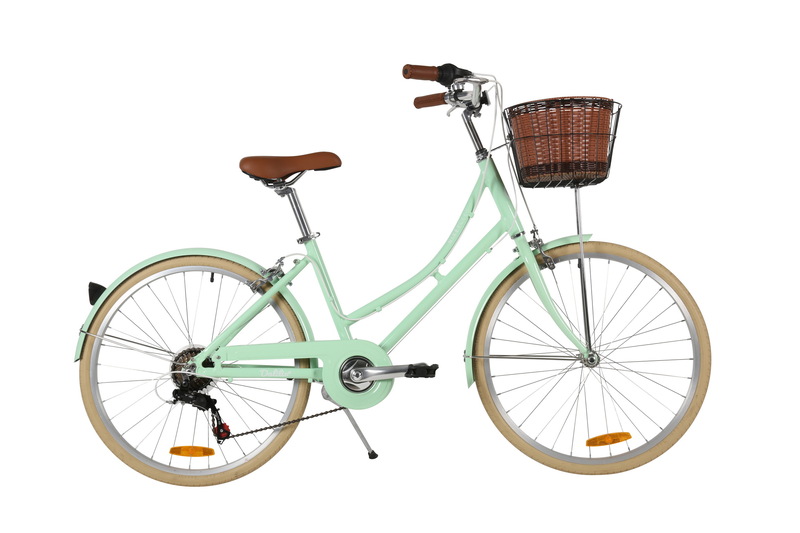 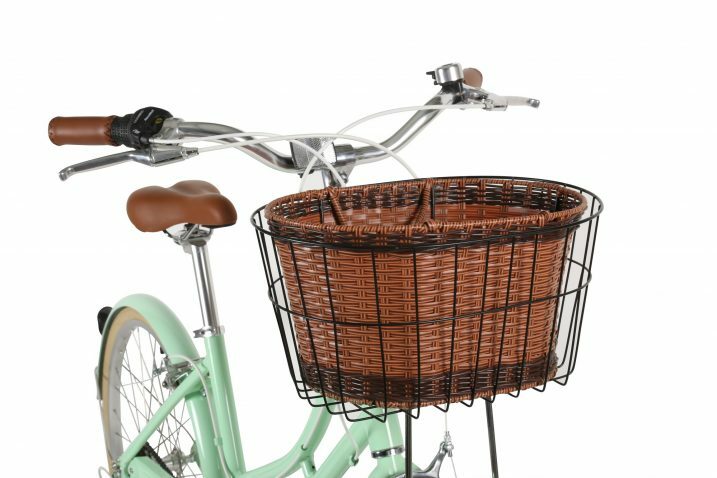 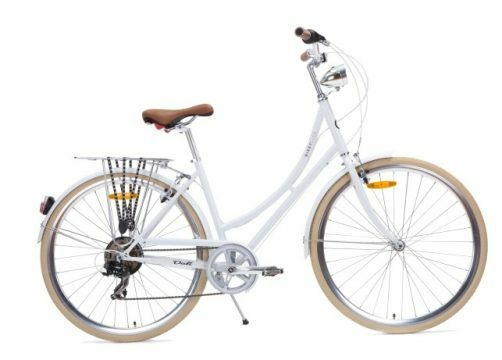 Based on our popular full-sized Dali Ladies bicycle, the Dalili captures the design style of the Dali with further enhancements. 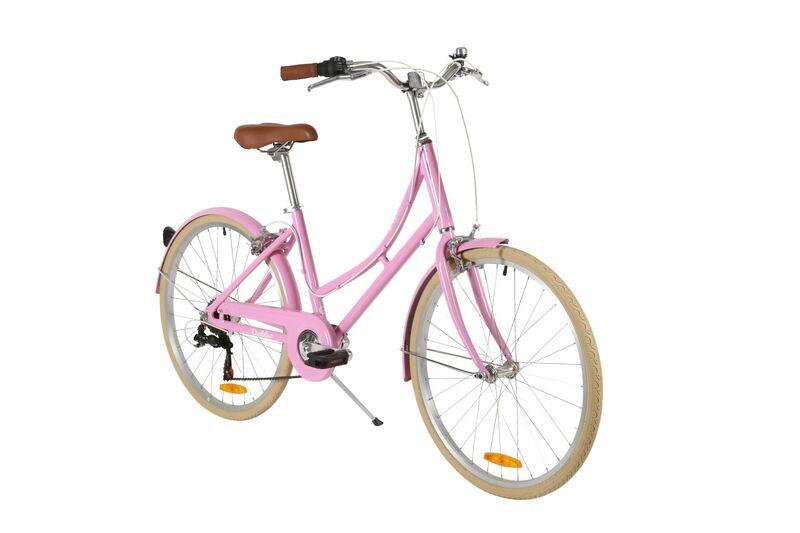 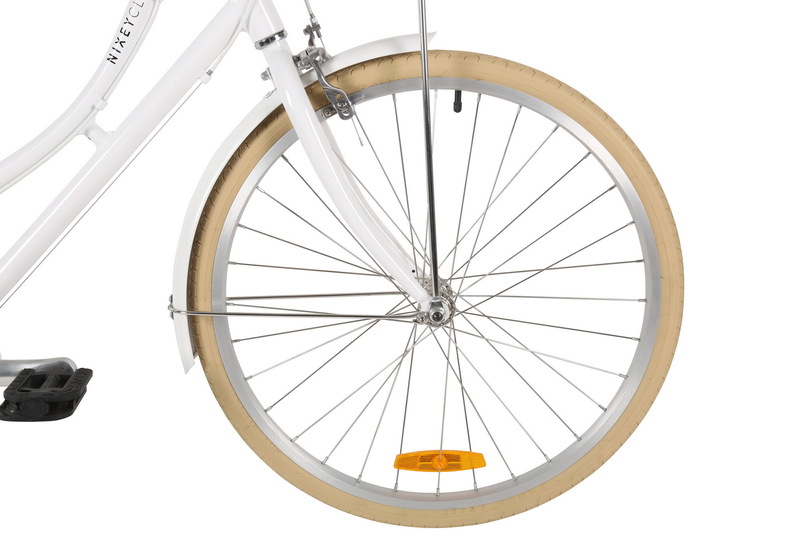 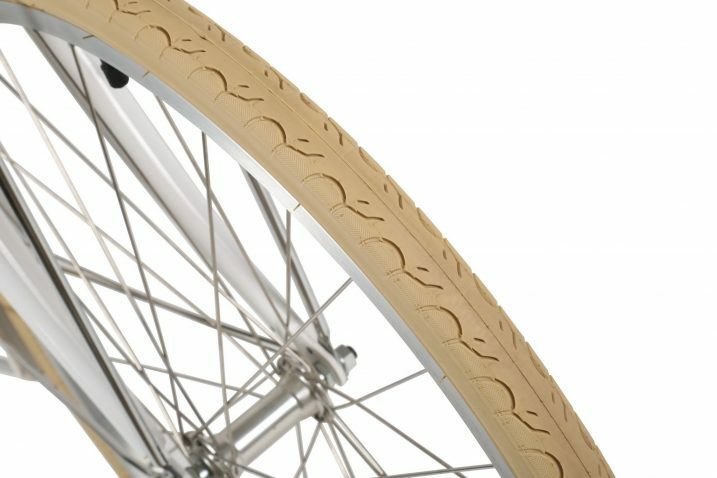 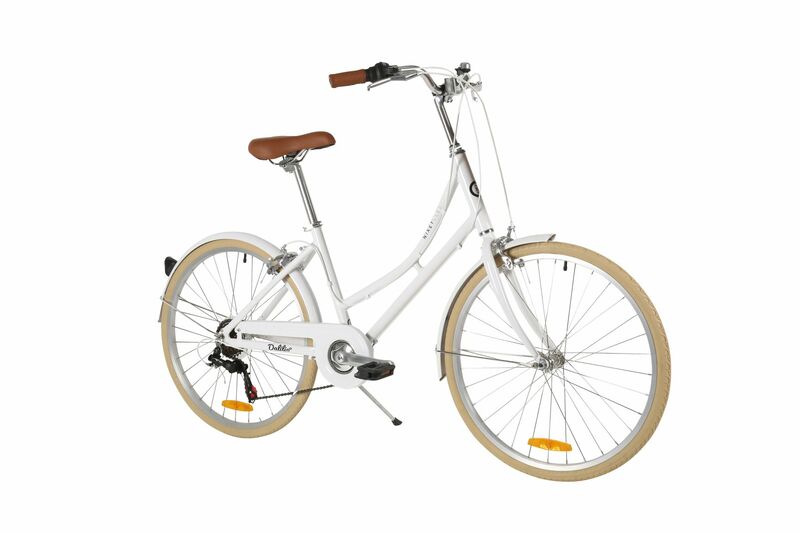 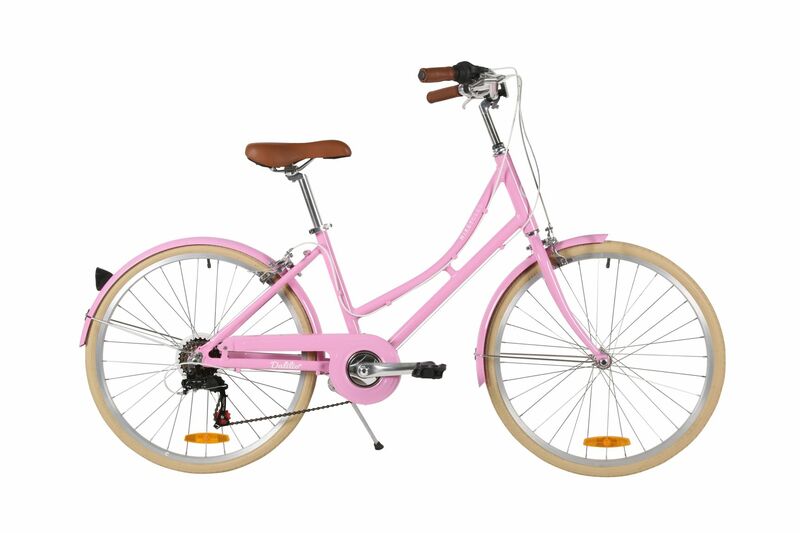 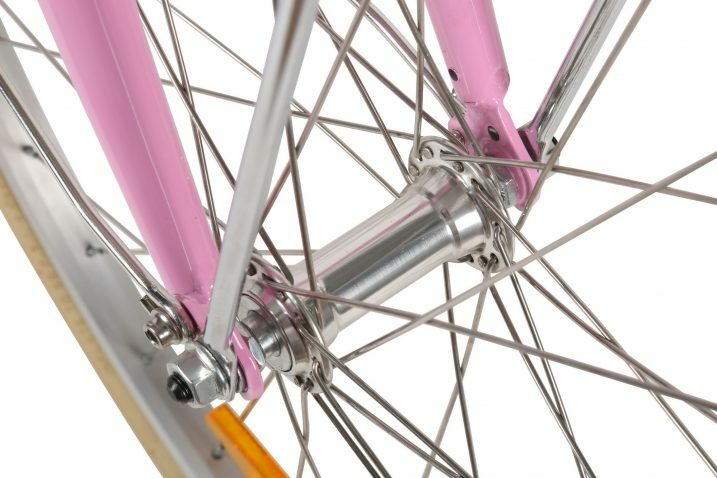 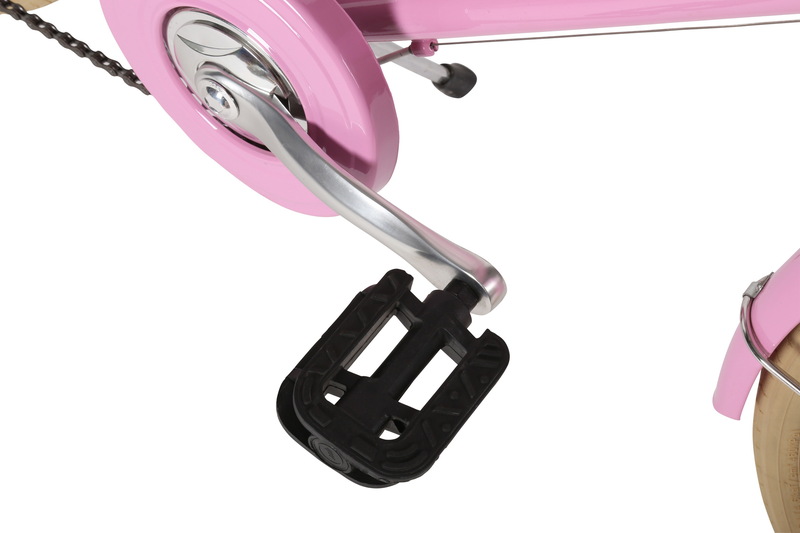 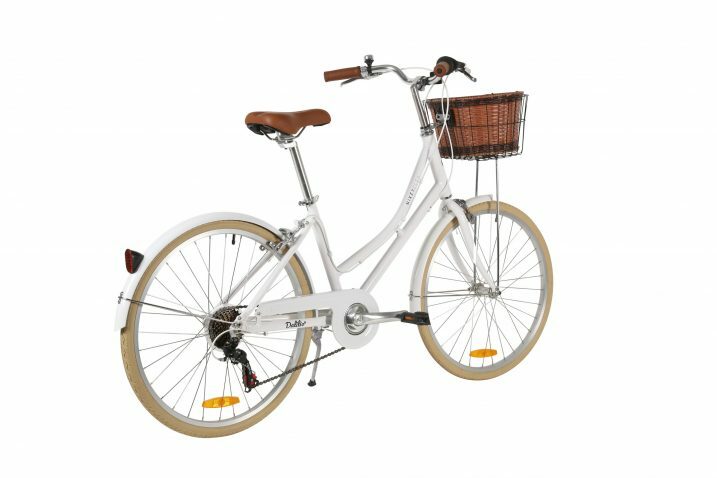 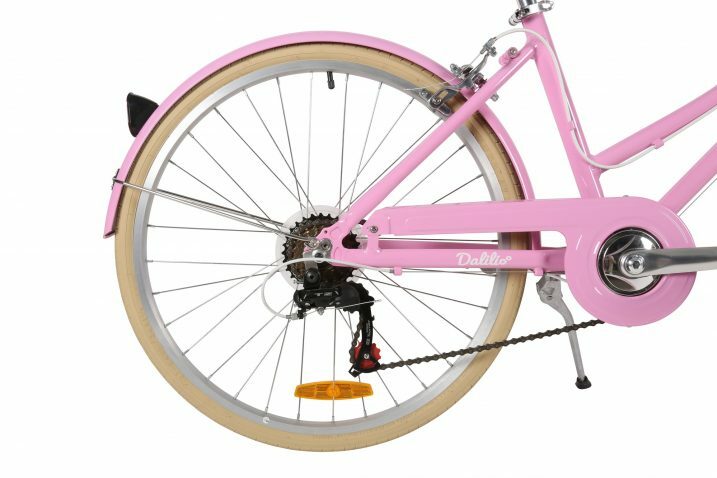 The Dalili features smaller 24inch wheels size suitable for petite females (Guide line 137cm to 157cm) coupled with a lightweight alloy step through frame. 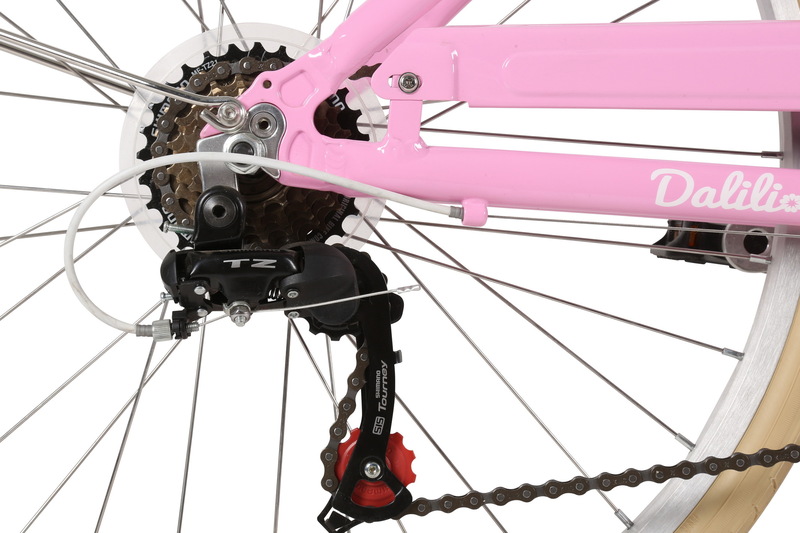 The Dalili includes the full Shimano 7 Speed gear set (shifter, derailleur and freewheel) with KMC chain. 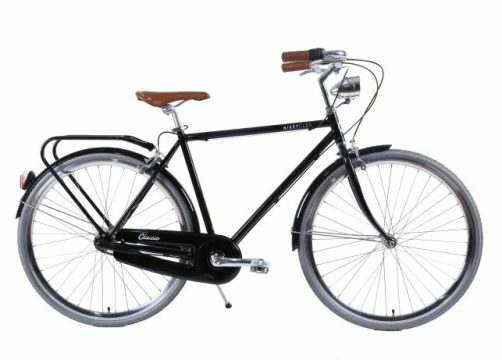 We then added a set of colour matched chain guard and mud guards with cream coloured Kenda tyres to complete the vintage look for the Dalili. 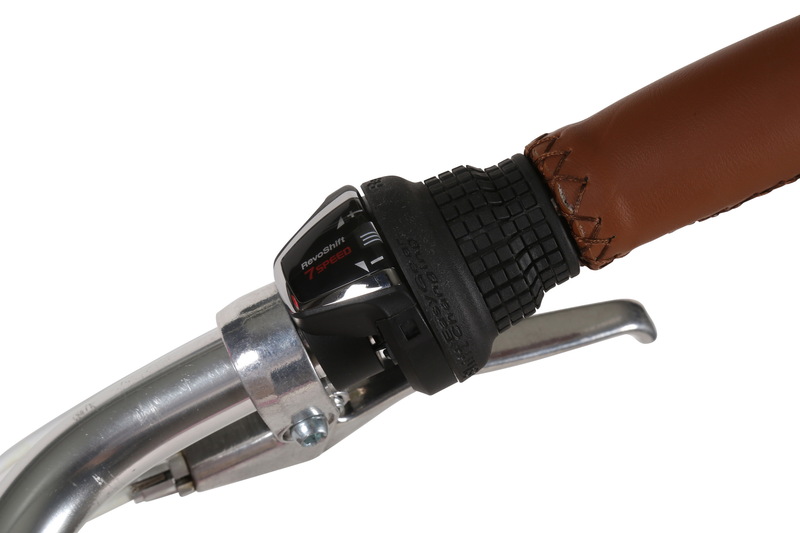 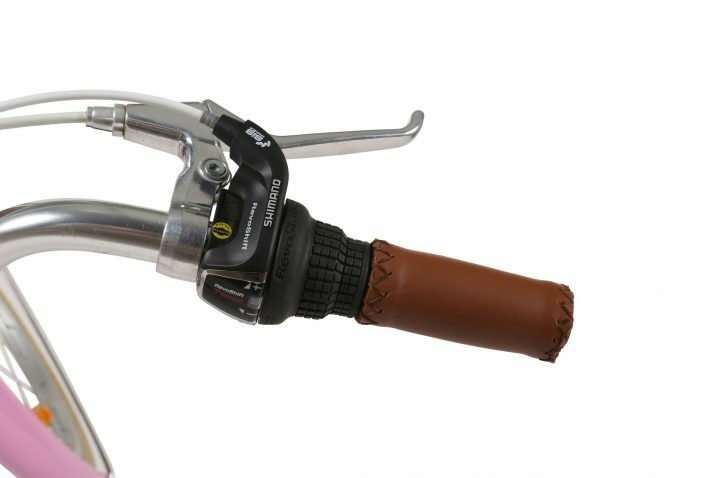 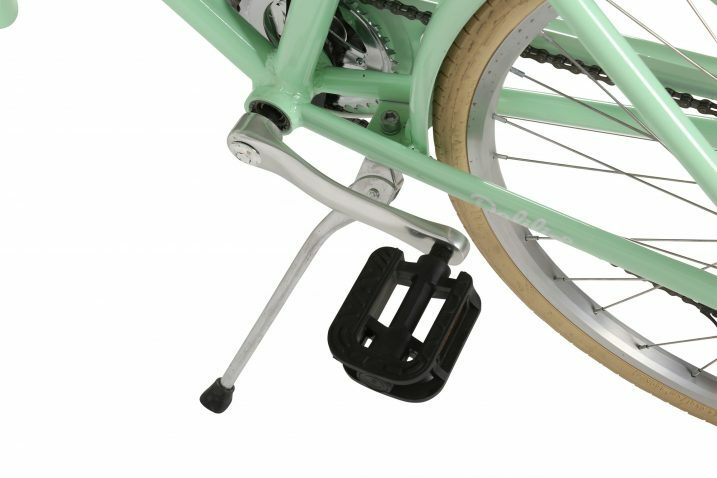 For safety and performance, we have included dual-pivot caliper brake on the front and back (same style as we use on the adult vintage bikes). 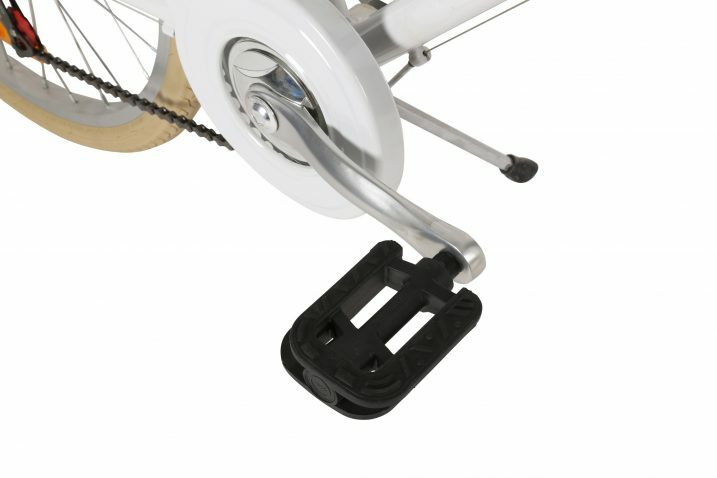 We have also fitted larger chain guard to protect petite hands and feet. 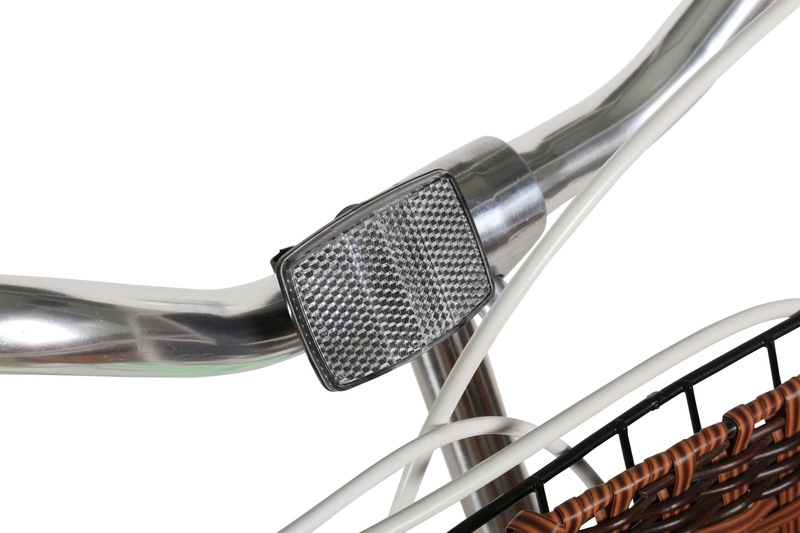 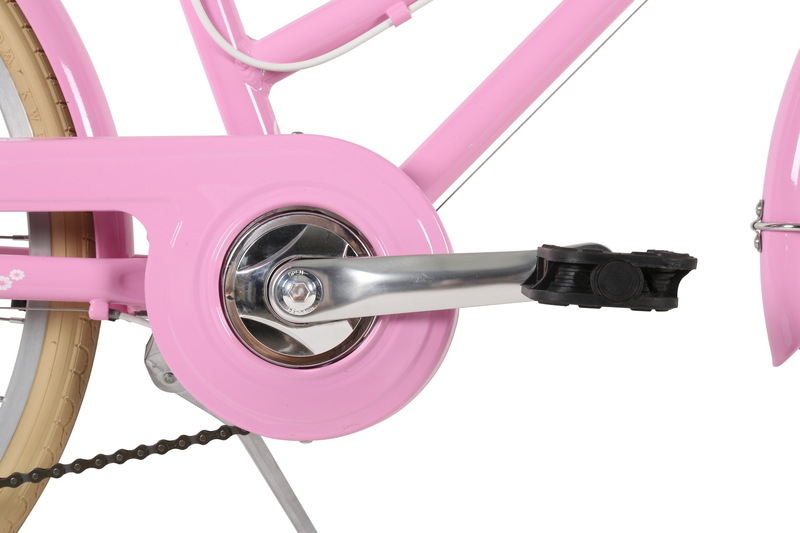 In designing a practical bike, we have included a quick release seat post clamp for easy adjustment of seat height and adjustable handlebars (up/down and pitch). 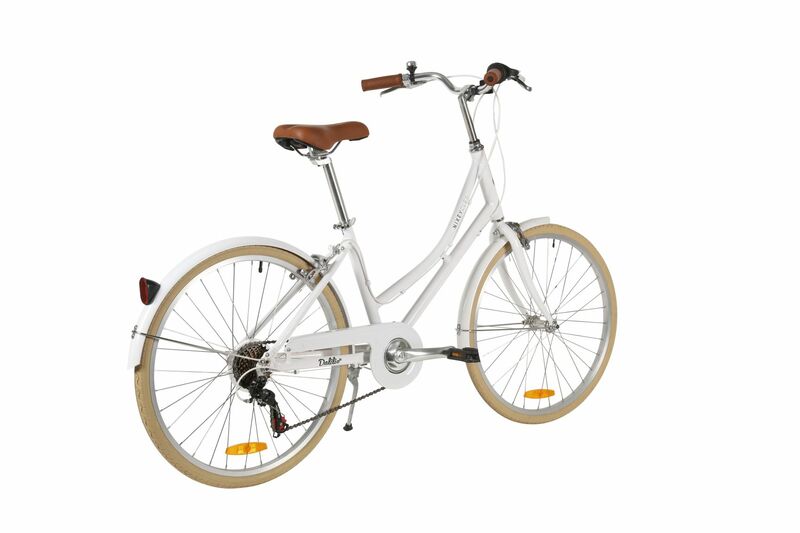 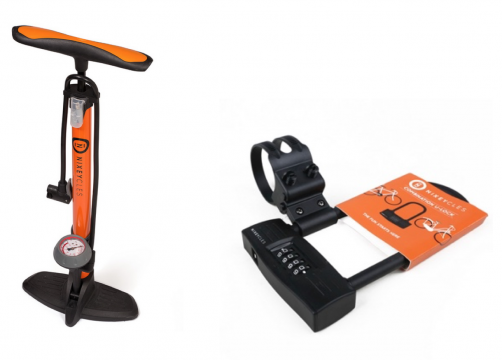 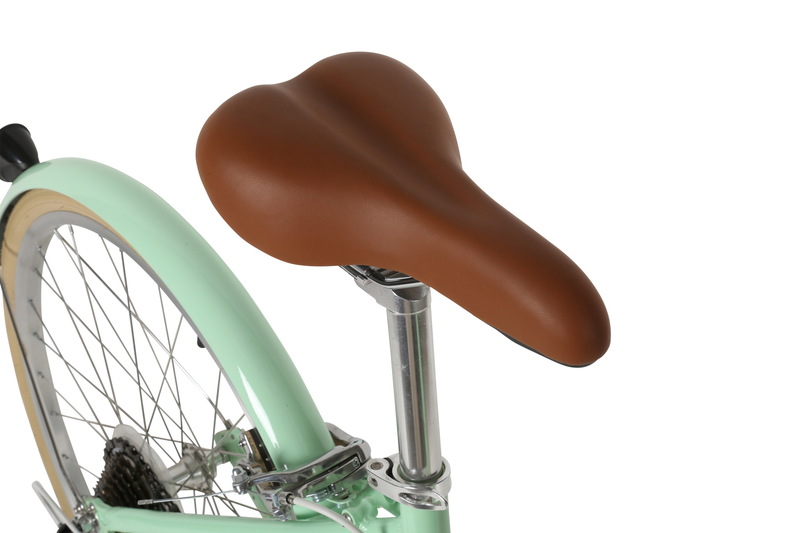 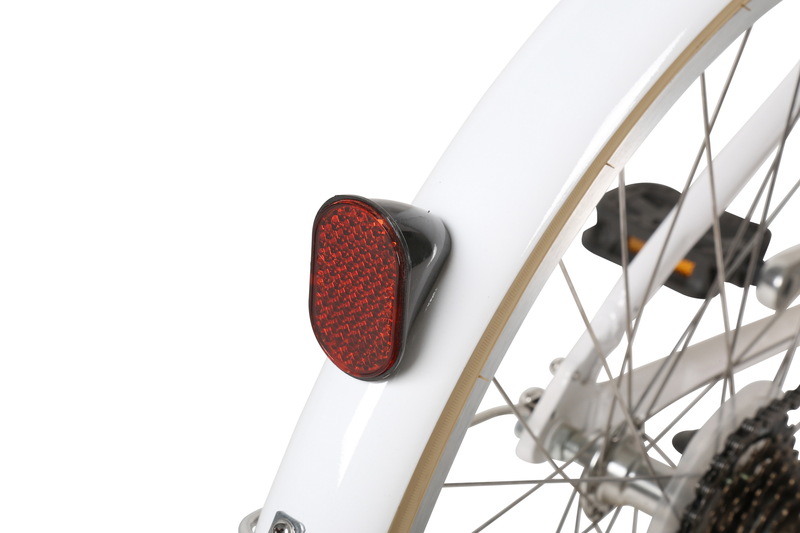 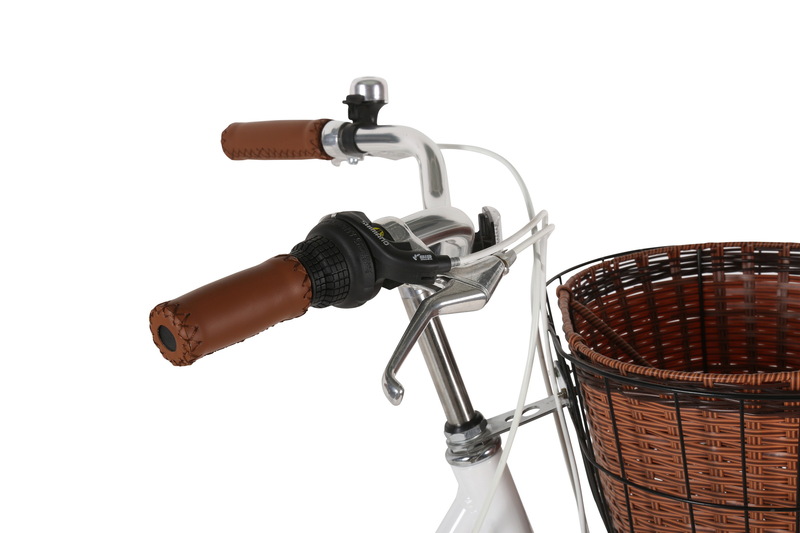 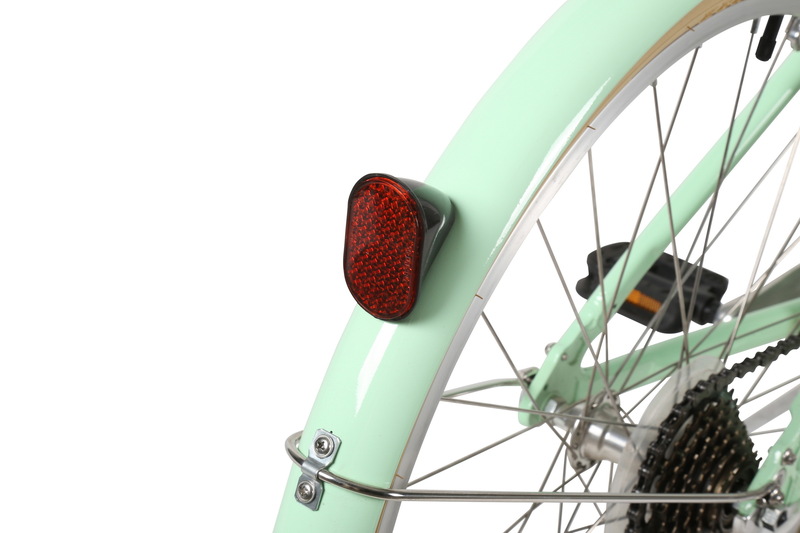 The Dalili also features a comfy seat and upright riding position for a smooth ride in an ergonomic position. 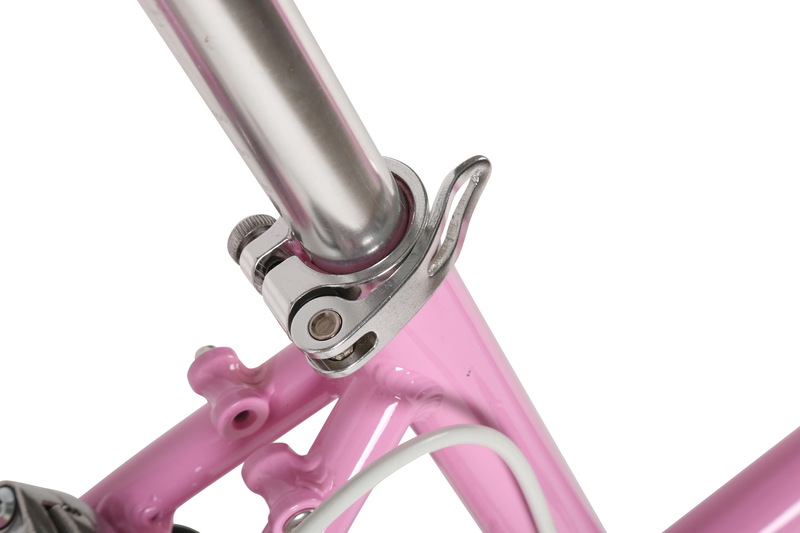 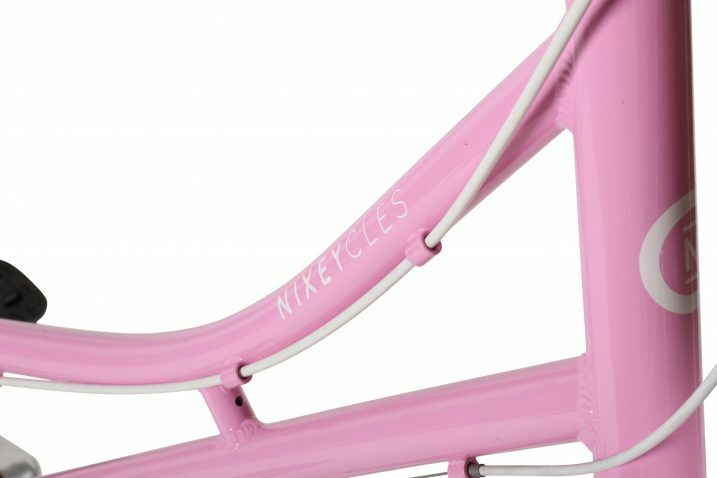 NIXEYCLES offers a 12 months warranty on our proprietary bicycle frames and components. 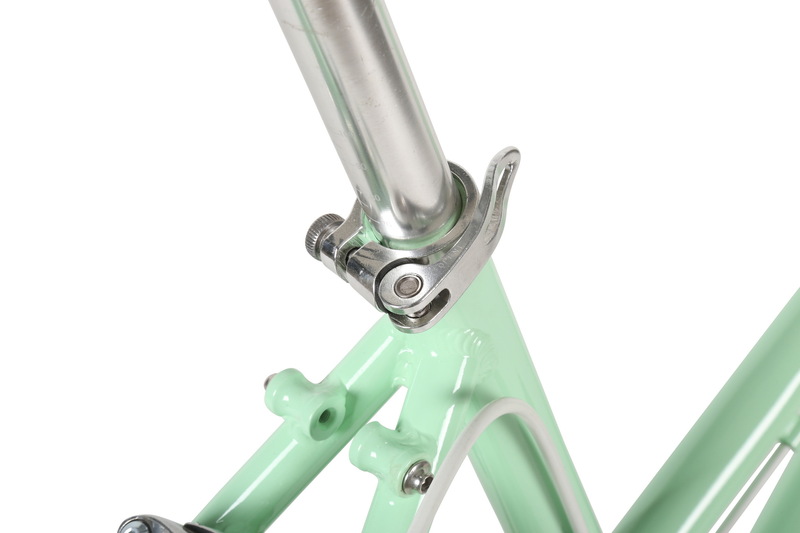 We warrant the bicycles against defects in materials and workmanship. 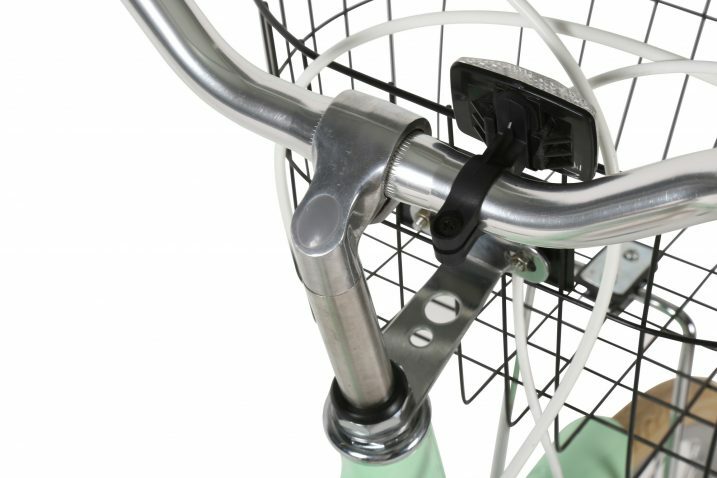 If a defect exists, we will replace or repair (at our discretion) any part that proves to be defective, without charge. 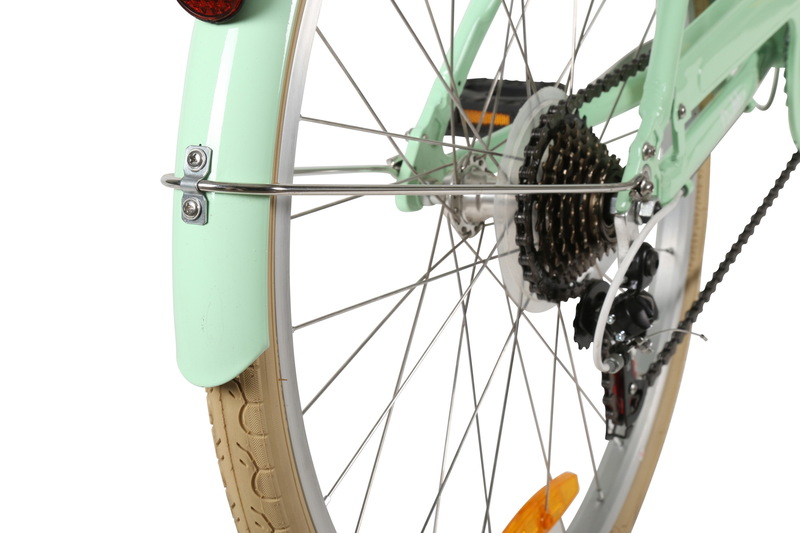 Adjustment of the front brakes. 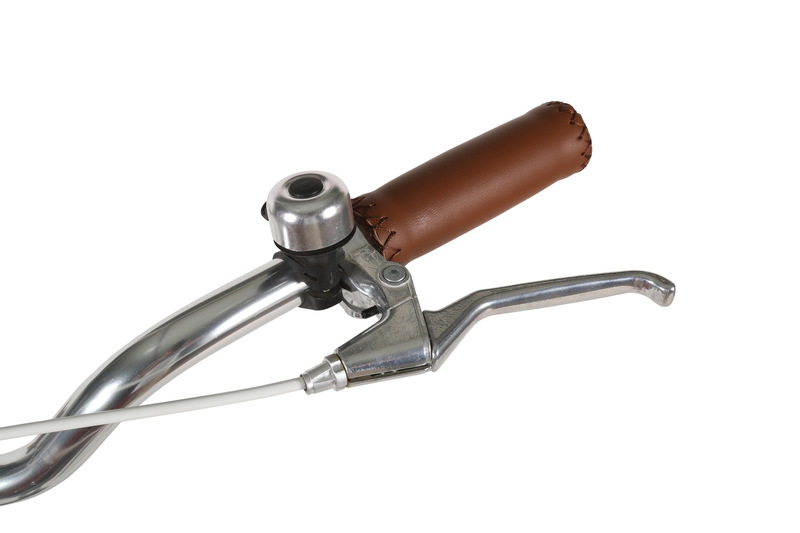 (This process takes approximately 25 mins for an experienced person). 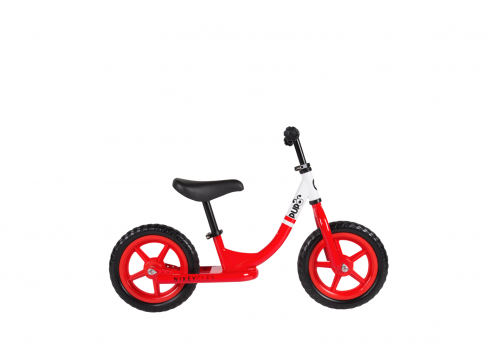 **It is recommended that the bicycle to be assembled by a bicycle mechanic or someone with proficient with bicycles and tool use (assembly instructions are included with the packaging)**. 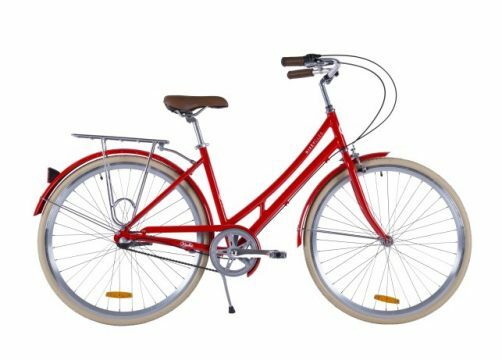 When pre-purchased and picked up from our Revesby NSW warehouse, bicycles can be fully assembled for a service fee of $35. 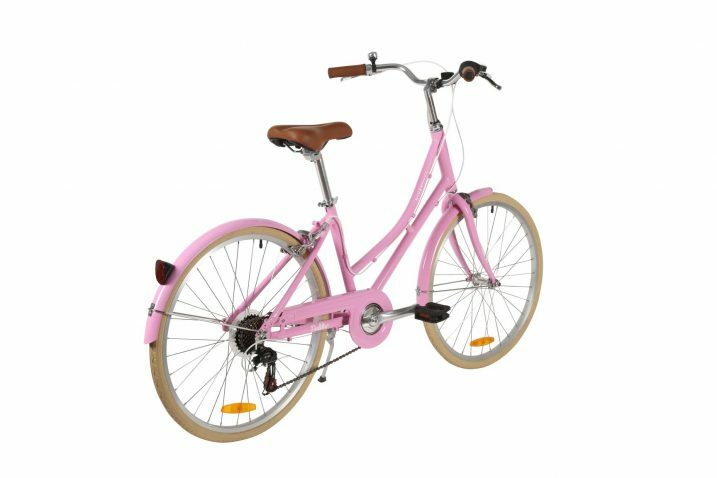 We offer FREE delivery to most areas of Australia such as Sydney, Melbourne, Brisbane, Canberra, Newcastle, Gold Coast, Central Coast and Sunshine Coast. Please contact us before your purchase for a quote on any potential freight costs. 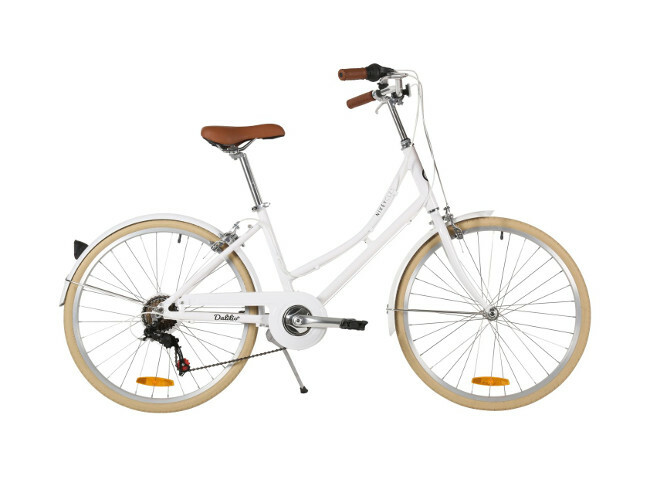 Bicycles can be viewed and test ridden at our Revesby warehouse prior to purchasing.